Nintendo has sent out an official announcement recapping all of the Switch-related news from The Game Awards 2018. If you missed any part of the show, catch up with the handy PR below. 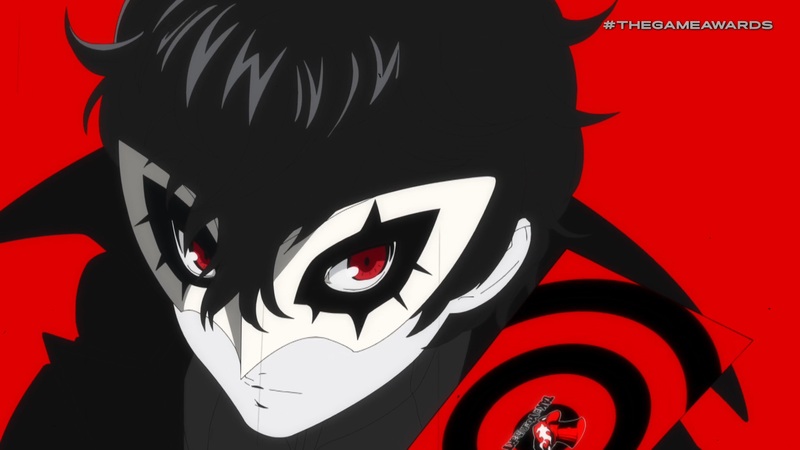 REDMOND, Wash., Dec. 6, 2018 – In a video that aired during The Game Awards, Nintendo revealed that Joker from the critically acclaimed Persona 5 game will be coming to Super Smash Bros. Ultimate for Nintendo Switch as a playable DLC fighter. Joker is included in the first of five planned DLC packs, each containing one playable fighter, one new stage and a handful of music tracks. Each pack can be purchased for $5.99 each, but players can also purchase the Fighter’s Pass for $24.99, giving them access to all five DLC packs as they release. The digital version of Super Smash Bros. Ultimate launches in Nintendo eShop at 9 p.m. PT tonight (Dec. 6), with the physical version hitting stores on Dec. 7. In this massive video game crossover event, every fighter in Super Smash Bros. history is back, and they’re joined by newcomers like Daisy from the Super Mario series, Chrom from Fire Emblem, Inkling from Splatoon, Ridley and Dark Samus from Metroid, Ken from Street Fighter, Simon and Richter Belmont from Castlevania, King K. Rool from the Donkey Kong series, Isabelle from Animal Crossing, Incineroar from Pokémon, and, soon, Joker from Persona 5. Anyone who purchases and registers a Super Smash Bros. Ultimate game with My Nintendo by Jan. 31, 2019, will receive Piranha Plant as a free playable fighter. With a smashing amount of content, Super Smash Bros. Ultimate is the biggest Super Smash Bros. game ever. For more information about Super Smash Bros. Ultimate, visit https://www.smashbros.com/. MARVEL ULTIMATE ALLIANCE 3: The Black Order is heading exclusively to the Nintendo Switch system in 2019 for Super Hero gaming action at home or on the go. The new game, which arrives nearly 10 years after the previous installment in the series, is being developed by KOEI TECMO GAMES/Team NINJA and published by Nintendo. Fortnite Creative is coming to the Nintendo Switch version of Fortnite, and it’s a brand new way to play the hit free-to-play game. This all-new mode lets players create their own private island near Battle Royal Island and invite up to 15 friends to visit. Anything edited, moved or deleted in the world is saved from session to session, giving players total control. For all current Battle Pass owners, players can jump into Creative Mode right now via Early Access. Fortnite Creative will leave Early Access and be available to everyone at no charge on Dec. 13. Debuted tonight, Epic has added a new Point of Interest to the Battle Royale map – ‘The Block’ – that is in game now. On an ongoing basis, Epic will update The Block to highlight amazing content made by the community in Creative Mode by featuring it to all Battle Royale players for a limited time. Mortal Kombat 11, the next game in the award-winning franchise, is launching on Nintendo Switch on April 23. Sayonara Wild Hearts, developed by Simogo and published by Annapurna Interactive, is a euphoric music video dream about being awesome, riding motorcycles, skateboarding, dance battling, shooting lasers, wielding swords and breaking hearts at 200 mph. Every stage in the game is set to a song on a custom-written pop album. Sayonara Wild Hearts launches for Nintendo Switch in 2019. A handful of games that are playable on Nintendo Switch won awards at the show, including Overcooked! 2 for Best Family Game, CELESTE for Best Independent Game, Dead Cells for Best Action Game, The Messenger for Best Debut Indie Game and Fortnite for Best Ongoing Game. For a full list of The Game Awards winners, visit https://thegameawards.com/.